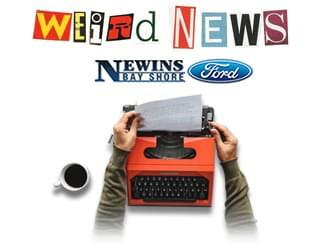 Home » Blog Index » Featured, Jim Douglas Mornings, Weird News » Refridgerdating? The Daily Mail claims Samsung has launched a new dating app called Refridgerdating. A camera and an app, monitor what’s inside your refrigerator before matching you with other people who have similar food preferences and things in their fridge. The smart refrigerator sells for $4,599. The NY Post claims Makoto Endo, of Saitama, Japan, was arrested for stealing 70 pairs of shoes. He told cops he stole the shoes because he got pleasure from sniffing them. Endo says well-worn shoes turn him on the most.